Booth #42 - We just released a ground mount feature, whereby the rows of modules automatically track the terrain of a site, allowing the array to mirror the topography underneath it. Scanifly’s objective is to help build a world powered by renewable energy and preserved by sustainable design. We are accelerating solar’s growth by integrating drone imaging and 3D mapping into the surveying, design and analysis stages. We believe every engineer should have a drone in their toolkit. The NABCEP conference gives us a chance to meet our users and share with them how our technology is reducing surveying time, cutting design costs, and improving accuracy and safety. 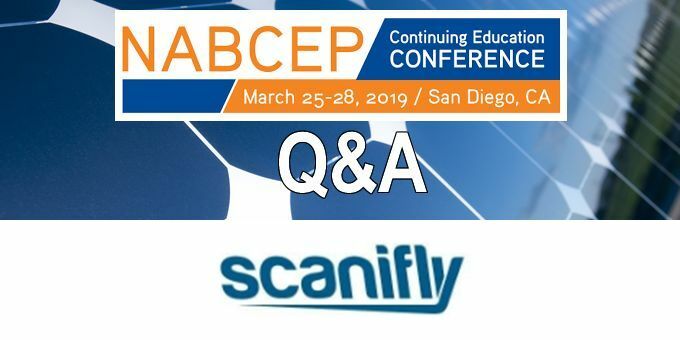 Scanifly’s session will cover everything you need to know about solar + drones: what drone to buy, how to incorporate drones and 3D mapping into your workflow, how to fly drones, and best practices for building an inhouse or third party drone team. Additionally, Scanifly will discuss the benefits of designing projects with real world context, creating approved shading reports without going on the roof, and maximizing 3D modelling software. We just released a ground mount feature, whereby the rows of modules automatically track the terrain of a site, allowing the array to mirror the topography underneath it. With our software, this creates “real-world context”, which leads to more accurate shading analysis and production estimation. We find that every solar integrator develops projects differently. Each company has their own internal process. We are interested in learning more about the steps solar companies take to get their projects to construction, and the tools and equipment they use. Wednesday’s session on Worker Safety looks intriguing. Safety continues to improve with new equipment and robotics. At Scanifly, we’re encouraging drone flights to eliminate ladder and roof risk for onsite assessments. We are curious if there are similar trends going on in construction and O&M. 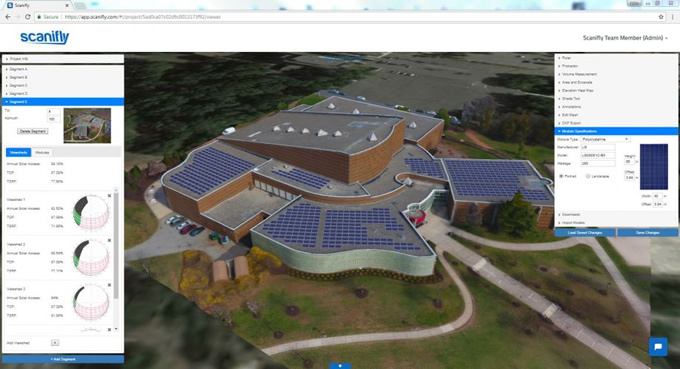 We are attending NABCEP to help solar developers integrate drone imaging and 3D mapping into their workflows. We believe that too many surveyors are still taping roofs and using manual shading tools. Design teams are estimating obstruction sizes. And 3D models are still made from scratch. 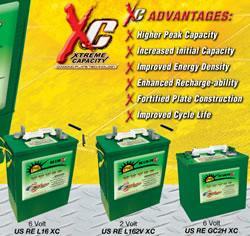 We are bringing an automated solution to solar.